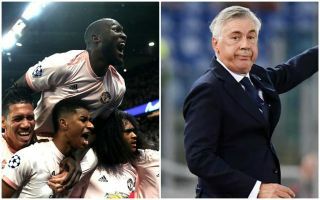 Napoli manager Carlo Ancelotti has given an incredible response to the big game between Manchester United and Paris Saint-Germain in the Champions League on Wednesday night. The Red Devils stunned Europe with a 3-1 win at the Parc des Princes, going through on away goals despite looking dead and buried after losing 2-0 at home in the first game between the two sides. Needless to say, it was a huge embarrassment for PSG given the amount they’ve invested in the transfer market to try to win the Champions League, and Ancelotti’s reaction more or less summed it up. When asked about the capitulation of his old club, Ancelotti admitted he would have jumped off the nearest bridge if he’d been the manager. Carlo Ancelotti on PSG's loss to #MUFC: "If I were the Paris Saint-Germain manager, I would have jumped off the first bridge around me." This is typically straight-talking from Ancelotti, though we hope no one reading takes his words the wrong way and considers such a drastic reaction to a football result!